The Yarra Ranges Regional Museum in Lilydale presents an exciting exhibition this Autumn, for those with an interest in sustainable art, childhood memories, re-purposing and upcycling. Artist Rachael Hallinan, a Melbourne-based painter, photographer and installation artist, presents The Ersatz Fantasia Project; a fun, interactive large-scale art installation using recycled plastic toys otherwise destined for landfill. This huge eco-project takes on a fantasy forest, reflecting the environmental impacts of our consumer driven society. The exhibition, funded through a Yarra Ranges Council community grant, opened on Saturday 28 March and will run until Sunday 24 May, 2015. 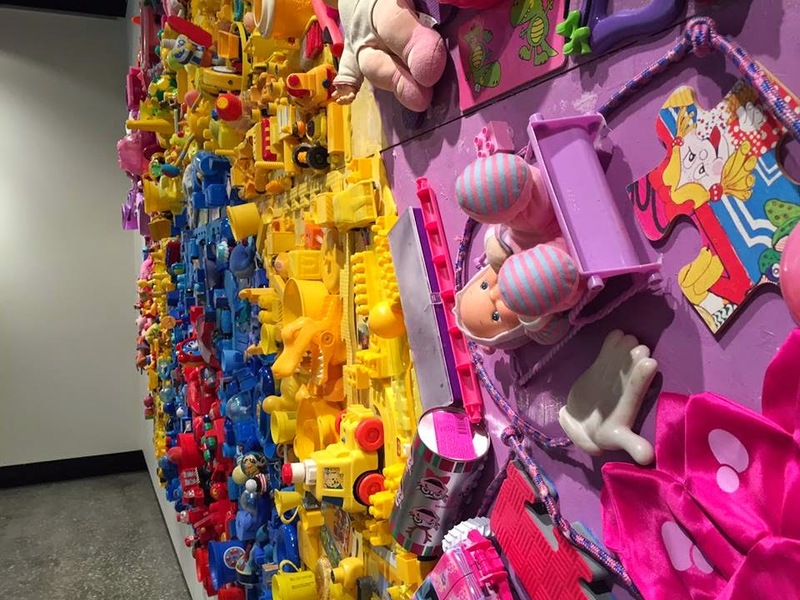 The Ersatz Fantasia Project stretches over two floors; The Box Gallery is the main exhibition room which focuses on a tree, completely covered by a rainbow of toys and discarded plastics. Visitors are then invited into The Chambers; upstairs in the gallery, to view 'The Majestic Plastic Bag'; a mockumentary narrated by Jeremy Irons, tracking the 'migration' of a plastic bag from the grocery store to the Great Pacific Garbage Patch in the Pacific Ocean. 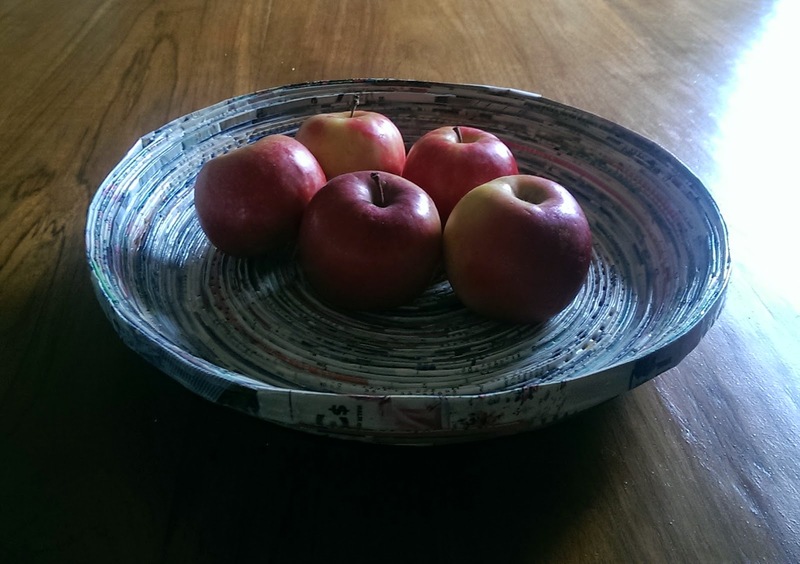 It is also in The Chambers that visitors can create their own waste-art from discarded materials, plus there are three events taking place over the course of the project, with one workshop (make an upcycled paper bowl) presented by yours truly on Wednesday 13 May - book here. 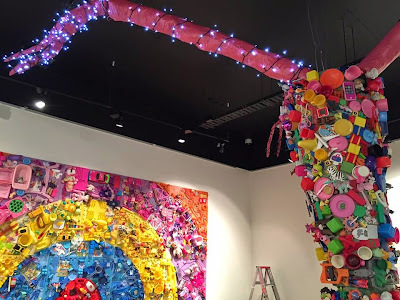 Other events include "School Holiday Workshop: Bits and Bugs" on Thursday 09 April, 2015 at 10:30am and "Repurposing toys to create household item" on Saturday 02 May, 2015 at 11:00am, taught by the artist herself; Rachael Hallinan. Book your spot here. For more information on The Eratz Fantasia Project by Rachael Hallinan, click here.